High oil prices don't just mean extra costs for consumers; they can also mean extra consumption as heating oil thieves make off with tankfuls at a time. The oil price effect is two-fold: thieves are more likely to take the risk of stealing your oil, and consumers will be more tempted to buy the oil at a discounted rate just for enough to get through the winter. 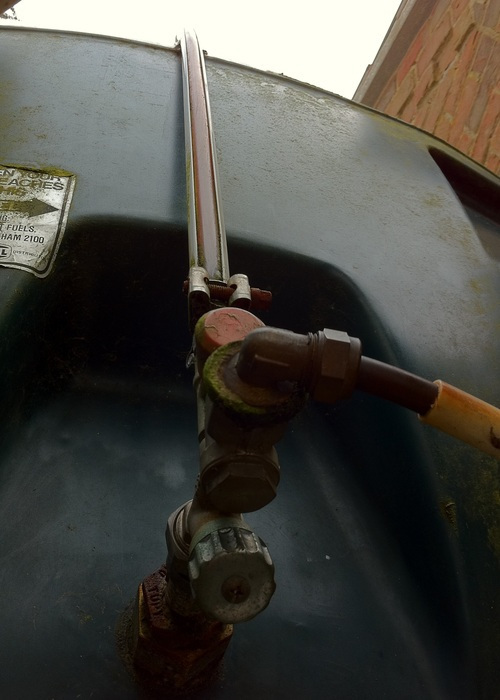 I covered the specific security measures back in 2008 [Heating Oil Thefts - Stay Alert!] and these points are all still valid. 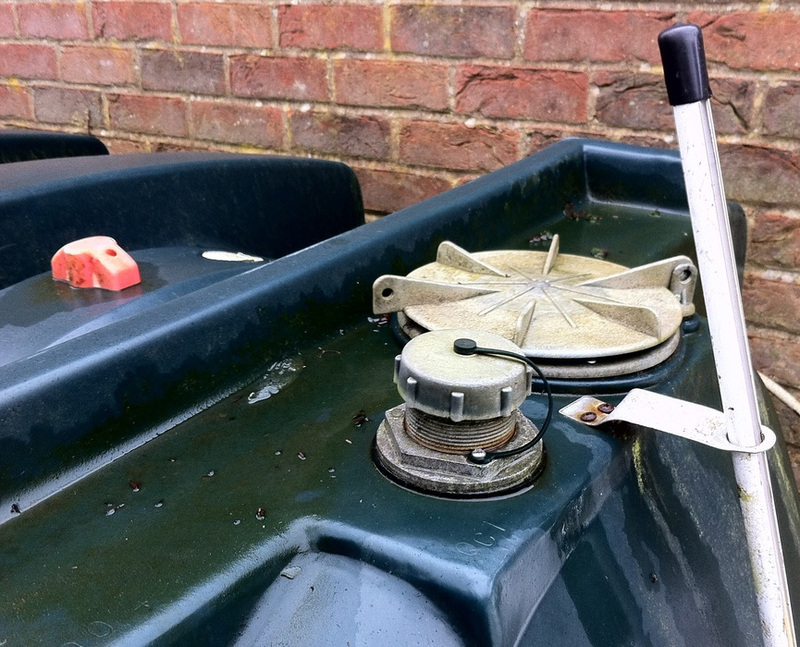 You can also buy an oil tank lock to secure the screw-capped filler pipe, and furthermore the large inspection hatch (shown in photo) can be secured using a padlock. Check through all of these security measures and see if there's anything simple you can do. Easy access and visibility from the road are going to be the most significant factors, so do what you can to hide your tank. Do you have any ideas of your own, or have you had your oil stolen? In the event of a theft, did you manage to recover costs from your home insurance and what did you do to prevent a recurrence? Post a comment below and spread the word! A word of warning! It is known that oil thieves tend to prey on people with full tanks; they do this by following genuine tankers around, and seeing where they deliver to. Knowing this may not help you prevent a theft, but it is well worth checking the level in your tank - both immediately after delivery, and every few days after (for up to a month, to be on the safe side). The sooner that you know your oil's been taken, the more likely that you will know it's been taken and the more likely that the police will be able to find evidence and piece it together.